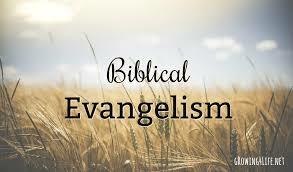 So many people are afraid to evangelize because they do not think they can answer the claims that others make. There is a very simple solution to overcoming this fear in solving this problem. The solution is as simple as asking a question. When you are evangelizing and someone else makes a claim, remember that you have no burden to defend their claim. The person who makes a claim has all of the responsibility to support that claim. So someone challenges you with a claim all you have to do is remember to ask them a question.